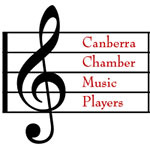 The Canberra Chamber Music Players represent a group of local musicians who are interested in playing chamber music together. By organising regular playing days throughout the year, musicians can meet each other, try new music and have fun! We have a library of chamber music which can be borrowed, and are happy to help people form groups to try a particular work. Players of all standards are welcome. The CCMP organises regular playing days each year. These are a fun opportunity to get together, sight-read new works, and try some combinations of instruments you might not be familiar with. Visit our Playing Days page for more information.